Couldn't decide if I was going on the Elk Thur. for most of the day. Sure glad we went,,,,,,Floated from 4:45 till dark. Most big fish we ever caught in one 3 hr. outing. Lots of large mouths because we did the flat stretch from Pineville down to riverside. Sure miss the current that that stretch use to have. 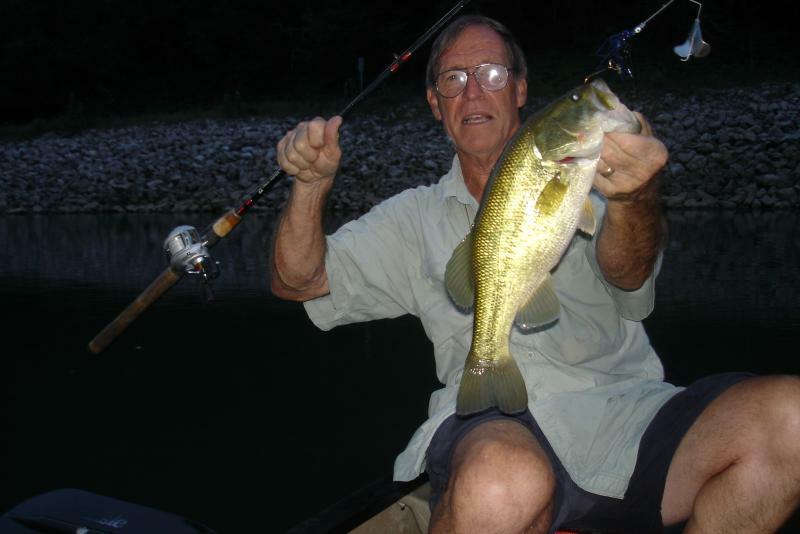 Caught about 30, but about 10-12 were from 15"-18"s. Buzz bait, floating repala, tubes. Yahoo.................Saw the resident bald eagle too. Looks like a good decision you made! Nice fish. Nice fish indeed!!!! Thanks for the report.